The quizzical mystical hysterical miracle spirit filled destination — one of many graduations from slow damnation — somehow, someway, someday; buy the ticket, change the station. It’s not where we’re from, but it’s where we’re going. 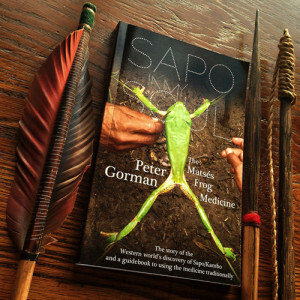 If ayahuasca is swimming in the rivers, lakes, dreams and streams of contemporary cultural, then the frog is perched on a branch overhanging the water’s edge. Waiting and watching, its tadpoles dropping from a jelly-leaf-nest, into the current below, into our bloodstream. And it’s come on rapidly.